The Secondary Music Department hosted its first ever International Schools Music Festival. 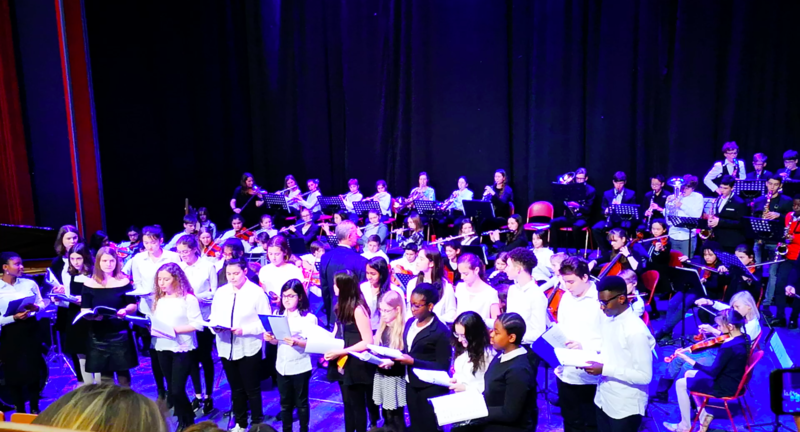 Over 100 students and teachers from The British School of the Netherlands, European School of The Hague (Primary Section), Rotterdam International Secondary School joined our students for a weekend of music and friendship. “I really enjoyed making music with students from different schools and all the different ages”. “It was interesting to see the different approach by students from BSN: they played with lots of emotion”. “It was great to see how easy it was to rehearse together with students from another school”. We are extremely proud of our students and we are excited to do it all over again next year.